Other than a stunning makeup range, Benefit also offers a selection of beauty services in-store at selected Benefit stores. 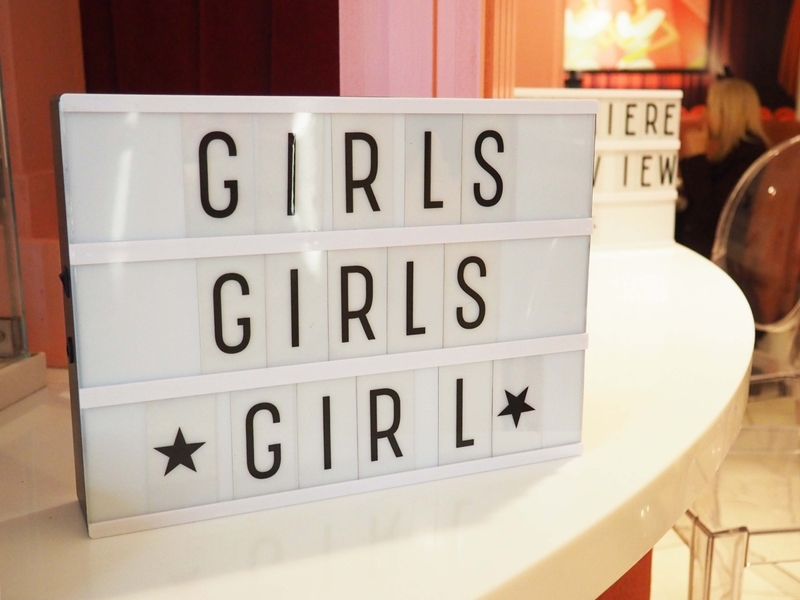 I was very lucky to be invited to their bi-weekly Benefit Brow Bar session at their flagship store on Carnaby Street. I’ve got my brows done a couple of times before and I must admit that having a set of beautifully defined brows makes me feel incredibly happy and confident! 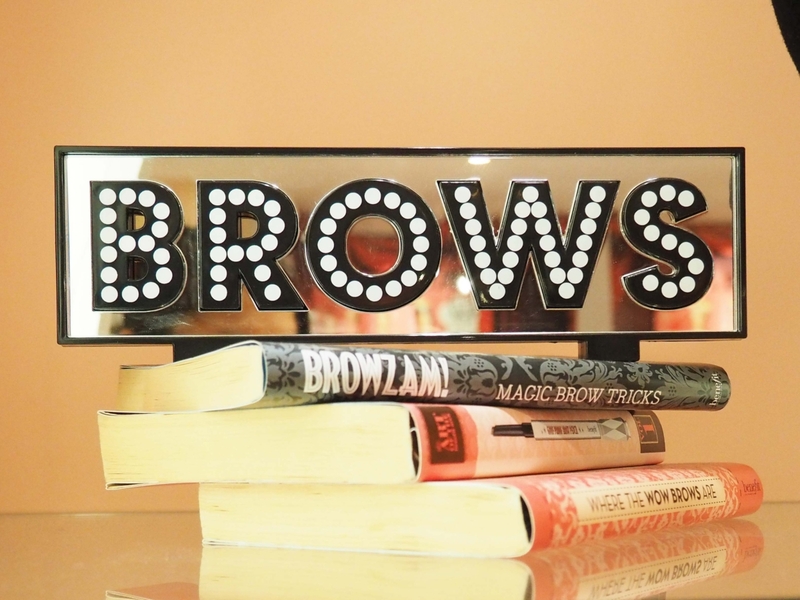 This is the second time I’ve visited the Benefit Brow Bar and it’s definitely something I’d be doing regularly. I only got my brows done this time, but every now and then Benefit Carnaby Street also offers a selection of other services. For instance, I also got a spray tan from Vita Liberata and a blow dry from Windle & Moodie just before Christmas. 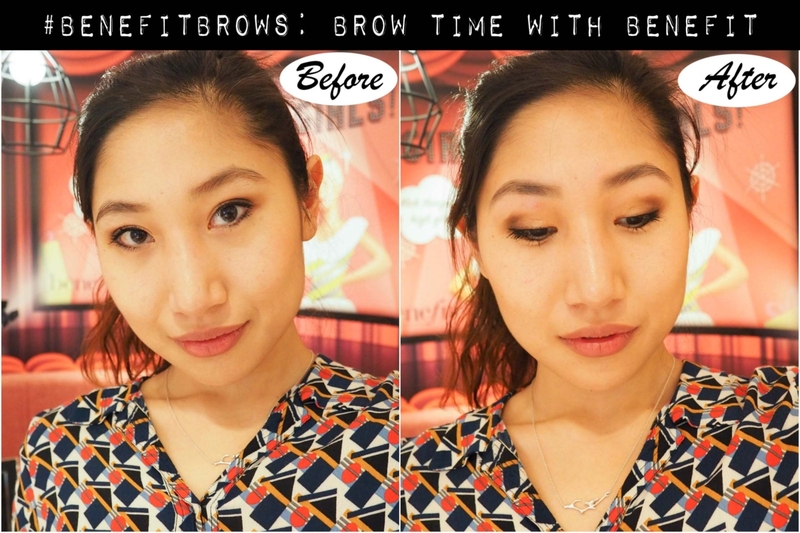 The service at Benefit Brow Bar is amazing and the girls at Benefit spent a lot of time fixing my brows and making sure that they’re perfect. I didn’t go in with any thoughts on how I wanted my brows to look like, but I just wanted them to be cleaned up by the pros. The tinting only took a couple of minutes, whilst the waxing took slightly longer. The waxing does hurt a little, but nothing intolerable. There’s no beauty without pain, eh? I managed to get a couple of photos of how my brows looked like before and after the waxing and tinting. In the before picture, my eyebrows look incredibly messy, thin looking and there’s a lot of extra hair between my brows and on my eyelids (note that I did apply a faint brown shade on my brows in the before picture). After the treatment, my brows looked a lot more defined, fuller (thanks to the tinting) and incredibly tidy! The tint used was dark brown and it really matched my eyebrows and made my brows look naturally full which means that I don’t have to fill in my brows for a week. The only other product that was used on my brows was a brow gel to keep hold of the shape. The wax did smudge my nicely applied eyeshadow and made my eyelids slightly red and sensitive. However, the redness calmed down after an hour or so to reveal a set of perfect looking eyebrows. The tint is meant to fade over time. It’s been two weeks since I got my eyebrows and it still looks very tidy and dark, but obviously not as nice as they looked two weeks ago! 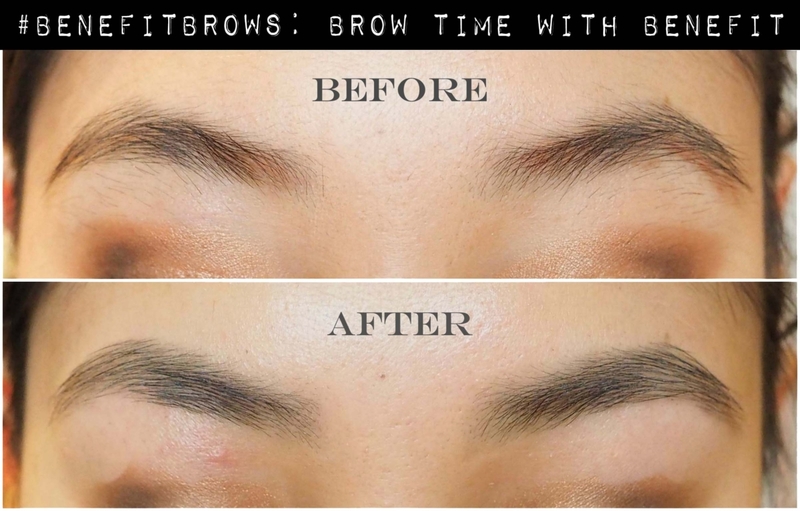 The price for waxing & tinting together is from £26.50 at Benefit Brow Bar. It is on the pricier side, but it’s definitely something you can treat yourself to every now and then. *Disclaimer: the brow bar service was complimentary, but I chose to review this service at my own discretion.